Shanghai, China - No.35 Yongshou Rd. 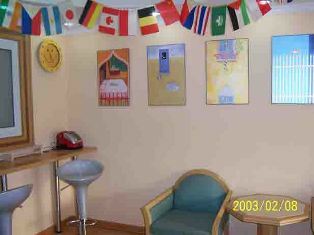 Mingtown Summer Youth Hostel ... Clean and affordable with extremely helpful staff, most of whom speak excellent English. Would definitely stay there again. Best location! Best services! Best prices! A mere 5 minutes walk from magnificent waterfront, Nanjing perdestrian street, museum, people square station of subway to everywhere in Shanghai! Most distinctive character is the shanghai famous food street 'Yun nan rd south ' is right next to our hostel, you'll have the opp to enjoy more cusine than ever!!!! 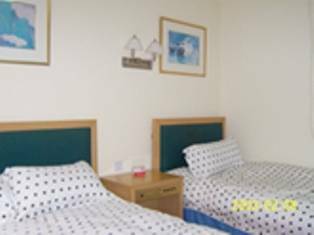 'Summer' has 88 beds, including single private, double room, twin room, dormitory room, all room has western style bathroom! Providing internet cafe, comfortable lounge and self service kitchen ideally suit for people socialize and making friends from all over the world. Smile... Wow! From 8th May 2007! 8 types of free services for all guests! Happy days in Shanghai at Summer Hostel !!! Bund:The Bund (Wai Tan) is one of the symbols of Shanghai. &#12288;&#12288;Located along the Huangpu River, the Bund shows off Shanghais outstanding foreign buildings, most of which were erected before 1937. To the Europeans, the Bund was Shanghais answer to Wall Street. In the 1930s, the string of buildings hosted the city's financial and commercial centers, and the world's greatest banks and trading empires established a base here. &#12288;&#12288;The Bund was derived from the Anglo-Indian term that literally means a muddy embankment. At the beginning of the 19th century, the area was a mere shallow waterfront covered with reeds. &#12288;&#12288;it is a well-maintained walkway providing excellent views over the river to Pudong and&#12288;&#12288;down the river to the old Customs House and other colonial relics. &#12288;&#12288;On the west side of the Bund are various towering buildings of different architectural styles, including Gothic, Baroque and Romanesque. The combination of these structures creates a unique boulevard that resembles the Liverpool Docks and 1920s New York City. 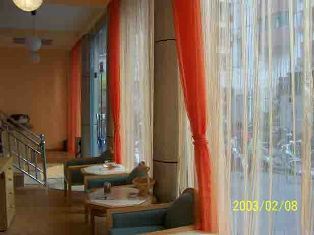 &#12288;&#12288;Today, the Bund is in the process of another transformation. The building, identified by a crowing dome, is the old Hong Kong & Shanghai Bank, which was completed in 1921. For many years it has housed the Shanghai Peoples Municipal Government. The statues that once lined the Bund no longer exist. The pair of bronze lions that once stood outside the Hong Kong & Shanghai Bank are now housed at the Bund History Museum. (1) By subway No. 1 to people sqaure, find exit 1 out, then go south east direction for 5 minutes, find the intersection of 'Tibet rd (M) and Yan-an rd (E), from the intersection, towards the east direction, the third blocks is our yongshou rd. from people square you will see the high rise building has huge sign' Taikang life'-- That's it!! or go over the elevated bridge then to east direction, walk past two blocks, the third rights is Yongshou Rd,(2) by taxi = 25 yuan, ring David for direction help! and ask receipt from driver, refuse to pay more, if you think something wrong with the taxi fare. (1) By shuttle bus No. 5 to People sqaure. or tell driver to ring us 63201114:for direction help! (24hours), We will help you! Ps: Please note ' yong shou Rd' is close to the intersection of ' Tibet rd (M) and Yan-an rd (E), from the intersection, towards the Yan-an rd (E), the third block is Yong-shou rd. just in case you can't find on map. look for building which has huge sign: 'Taikang life', The hostel belong to this building. 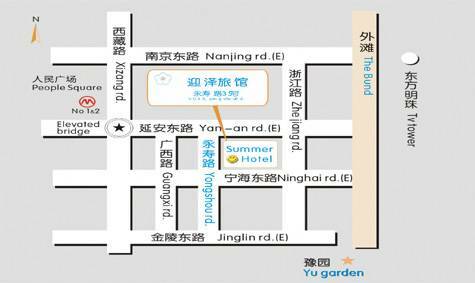 'summer'l is about 500 metres from the' people square' subway station, and Yun-nan rd south famous food street is two blocks away. PS: if you find the character strange, please click (v) on your top left, then clik (D), last clik GB(2312), so the driver can read it. please print this page!